Coupons 10% Off Locksmith Services 24/7 Call us!! "I would give 10 stars if I could. There is more than just cutting keys that counts as conducting business and it is all seamless and natural, stress free and quick. The staff of locksmiths at American Local Locksmith serves the public with great pride. Every technician we employ is qualified to perform the full range of standard locksmith tasks in their areas of practice, and must also conform to the American Local Locksmith stringent code of ethics that governs the behavior and practices of a professional locksmith. American Local Locksmith staff takes a focus on providing the highest caliber of professional locksmith services in the local area with 24 hour availability and the fastest possible local response times. Our strong local standing is maintained by our dedicated staff of security experts who take advantage of their comprehensive training and extensive toolbox to provide a full suite of locksmith services to our local base of clients. All of our locksmith technicians are well trained to help you in any situation, establishing a high standard for practices and professionalism for a formally endorsed locksmith. American Local Locksmith technicians work to provide reliable professional locksmith services while adhering to the highest standards of integrity. The staff of American Local Locksmith that we employ are qualified to provide expert insights on security methods commonly in place as well as offering insight on the most effective new technologies, and our specialists are also trained to practice total confidentiality in matters of individual privacy and trade secret protection. every member of our team is required to participate in a continuous educational program to keep their knowledge as current as possible. Using their years of practical experience and range of specialized skills, the American Local Locksmith team confidently addresses every task turned over to our expertise, and for these reasons our technicians represent some of the finest practitioners in the industry. Call American Local Locksmith now for a no obligation consultation on your security needs. 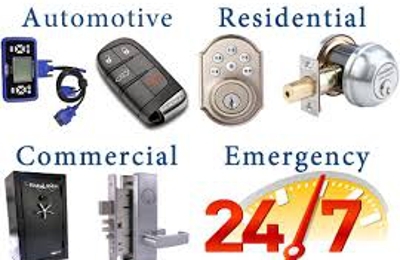 Locks & Locksmiths, Locksmith, Locksmiths, Locksmith Near Me, Locksmith Service, 24 Hours Locksmith, 24 Hours Emergency Locksmith, Mobile Locksmith, Residential Locksmith, Commercial Locksmith, Automotive Locksmith, Lock Change, Locks Rekey, Locksmith Re- Keyed, Locks Repair, Emergency Lockouts, Car Door Unlocking, Safe Unlock, Car Keys Made, Transponder Keys, High Security Keys, Car Key Making, Ignition Change, Cheap Locksmith, Mobile Locksmith Service, Locksmith Around The Clock, Unlock Car, Unlock Services, Business Locksmith, House Locksmith, Lock Installation, Lock Smith, Lock Smiths, Keys Locked In Car, Locksmith in, 24 7 Locksmith, 24 Hour Locksmith, 24/7 Locksmith, 24/7 Emergency Locksmith, Professional Locksmith, Certified Locksmith, Emergency Opening, Residential Lockouts, Commercial Lockouts, Automotive Lockouts, Locks Repair, Locks Replace, Lock Replace, New Locks Installation, High Security Locks, Master Key, Eviction Service, Locksmith Services. i needed a deadbolt installed on my door and Jay was very helpful in choosing the right one for me without pressuring me towards the more expensive options. I made an appointment to have it installed that day but a couple hours after the agreed upon time I called to find out what had happened. Dave was extremely apologetic and got to the bottom of the problem right away. Turns out the guy that was supposed to install it had to go to the hospital! Can't be mad at a guy that literally couldn't make it to my apt. Nevertheless Jay told to pick anytime and he would personally install it, plus 50% off to make up for the missed appointment. The next day he was on time, friendly, efficient, and considerate.I will use them again. American Local Locksmith The Best In Town!!!! I found American Local Locksmith through Online and it was easily the best experience I've had with a locksmith so far in my life. Fellow named Scott showed up right on time and did a fantastic job leaving me with a better lock that was more well installed than I'd had before. It was a more labor intensive job than it could have been and he did the work admirably and I was charged the same rate discussed from the start. I cant envision having a better experience with a locksmith really, and I would recommend American Local Locksmith to anyone I know who would need a locksmith. American Local Locksmith Fast, friendly and got the job done. I needed a new deadbolt in my door and found this place online. They had great availability for the install and were right on time literally arrived at 2 PM on the dot. Scott did the installation and went over my options without trying to up sell me. He explained which deadbolt was the best for my kind of door, existing lock and type of building and then quickly went to work. An hour later it was done and now I have a shiny new lock, two new keys and a better sense of security. Turning my key upon returning home, the cylinder surrounding the key popped out. Pins went flying everywhere. My jaw dropped--locks aren't supposed to just break! But within five minutes, I'd regained my composure well enough to do a quick search online. American Local Locksmith came out at the top of my list, so I called and spoke to possibly the most pleasant professional ever. Our locksmith was out at the time, but he set an appointment for a few hours later and even showed up a few minutes early. He was visibly competent and worked fast, all while keeping up a friendly conversation and explaining what he was doing. Even though it turned out we needed to replace the whole lock, the total price was still well within reach. He even accepted our credit card via an app on his iPhone. Highly recommended. I called American Local Locksmith today because I am moving out of an apartment and wanted to swap out the lock that I had installed for the one that was there when I moved in. Ben, the locksmith, showed up on time 5 min early actually and even taught me how to do it myself in the future. It was done quickly. Ben is very personable and as an added bonus, he's a total cutie!! In a nutshell, great service at a reasonable price. I definitely recommend them. The lock on the door to my apartment was busted. So I tried to save some pennies by posting an ad on Craig's list a method that has worked really well for me to hire my cleaning lady and various handymen for simple jobs. Anyway, after sorting through like 50 replies to the ad, which quoted me prices varying form $100 to $300, I chose some guy who said that he installs locks in hotels for a living for $100 who of course turned out to not know what he was doing. He did put in a good effort, staying wiht the job for like 5 hours! But the door knob was basically hanging off the door the next day after using it twice. Anyway, a week later after calling a bunch of legit locksmiths who wanted $80 to even look at the lock, and who wouldn't commit to a firm price, I called American Local Locksmith who fixed the mess that was made for $80 in like a half hour. Can't imagine what else you would want from a locksmith; they were professional, prompt, competitively priced and upfront with the information. I got a deadbolt installed went with the $189 version, they're very honest describing the differences and which one suits your need. Great service, very personable guy who came and installed the deadbolt; exactly what you want when you have somebody coming to install something in your home American Local Locksmith are the one to call to. American Local Locksmith really are the best. Online not lying. Came exactly on time, cut off my Kryptonite bike lock pretty quickly once we found a power source for the electric drill/saw. Cleaned up everything and even offered to give my neighbor a coupon for services after she let us use her electric outlet mine was too far from the bike. SO NICE & GENUINE. Would not hesitate to come back to them. Really very impressed. At half past 10p on a Monday night, there is nothing more annoying than a busted deadbolt that you cannot open when leftover Smith & Wollensky is in one hand and workout clothes in the other. I had been waiting for the day/night when my MacGyver skills would fail, or more accurately, the poor install would crumble. The cylinder could almost be pulled out and key parts of the cylinder had fallen. Applying pressure or shifting the key itself would not matter. I called the first listing populated by online and gleefully saw that American Local Locksmith operated beyond 6p. Really? Who gets home by 6p in this working world. The dispatcher took details of the situation on the phone and promised the repair man would be there in 30 minutes. Not two minutes later, the aforementioned repair man called to say he was 17 minutes away. 20 minutes passed and he was parked across my street. He deftly applied another method to the lock when a simpler version failed. Once the main parts were removed, the replacement deadbolt took a mere 2 minutes. I tested the two keys, and he wrote a receipt. Cash or charge is acceptable. Discover is even OK, which is rare in our area. The fee for lock removal is $79 and lock replacement is another $79. $158 plus tax. I am getting reimbursed, so his timeliness and jovial customer service was much appreciated as I wanted to sleep more than anything. I highly recommend this company, and for midnight headaches, it is worth the cost. Quick and friendly service trumps cheap every time. Fast, nice, reasonable! If you need locks changed this is the place. they also accept all credit cards & and they work 24 hours too. So, I have a habit of losing things. I'm on my 4th cell phone in the last 6 months. Recently, I had to call American Local Locksmith to return to my apt and repair a lock that I had stripped at 4am after losing my keys. Not only did he offer me a ""repeat customer discount"" of about 15%, but he also offerred to write the receipt to include the first repair of our dead bolt which our landlord had ridiculously refused to reimburse despite multiple emails and phone calls detailing the security concerns. Anyway, this Locksmith Company is incredible and I rarely give out 5 stars on this site, but he totally deserves it. Just wanted to add another well-deserved 5 star review to the bunch. I chose American Local Locksmith because of the Online reviews and in a few hours I was all set up with a new deadbolt lock on my door, hassle free. - Competitive and reasonable prices . Bottom line: Henry is a top-notch locksmith who was polite, timely, and highly knowledgeable Locksmith Company. From the first phone inquiry to the professional completion of the lock change, the service was impeccable and the price was right. We have hired his Locksmith Company twice now and I cannot more confidently recommend a locksmith for both residential and commercial properties. The first time we requested services fromAmerican Local Locksmith was when we moved into our new apartment the previous tenant moved out and didn't leave the deadbolt key, thanks. Moderate Google searching, American Local Locksmith simple and clear website, and a quick phone call with Danny confirmed that he was by far the most promising of all the locksmiths around the area. Danny arrived at our apartment early the next day and confirmed that we didn't need a top lock change - a cylinder change was sufficient enough and saved us over $50. After our business was broken into a couple weeks ago, I immediately recommended American Local Locksmith to our office manager. His professionalism was as good as I remembered it: He was at our office within a couple hours and quickly had all the locks changed out at the prices quoted on his website, which were - again - by far better than any competitor. Our office manager, even in her chaotic state, was so impressed with his friendliness that she sent his contact information around the entire office. I wouldn't want to need to call a locksmith again, but should something happen in the future, Danny will be the guy I go to!!! Pretty much the best experience I've had in the city, period. They were friendly and accommodating towards my schedule. Arrived on time, installed my top lock in 20 minutes, barely made a mess, and didn't mind me asking questions about the whole process. $100.00 + Tip = totally worth it. I would recommend them to everyone I know. American Local Locksmith are the best around. I lockout of my house American Local Locksmith was there on time and was able to open the door in about ten minutes without having to use a drill. His fee was the flat rate of $79 as quoted on the phone. Given the prompt and professional service, I was impressed and will likely use them again to fix a deadbolt lock that needs to be remounted.